I’m going to try and meal plan every week from now on. It was so much easier knowing what we were going to have every day in advance and I didn’t get complaints about having the same thing over and over again (spag bol and chili because they’re so quick and easy!). LOL I giggled because I thought it said stoned chicken at first ! 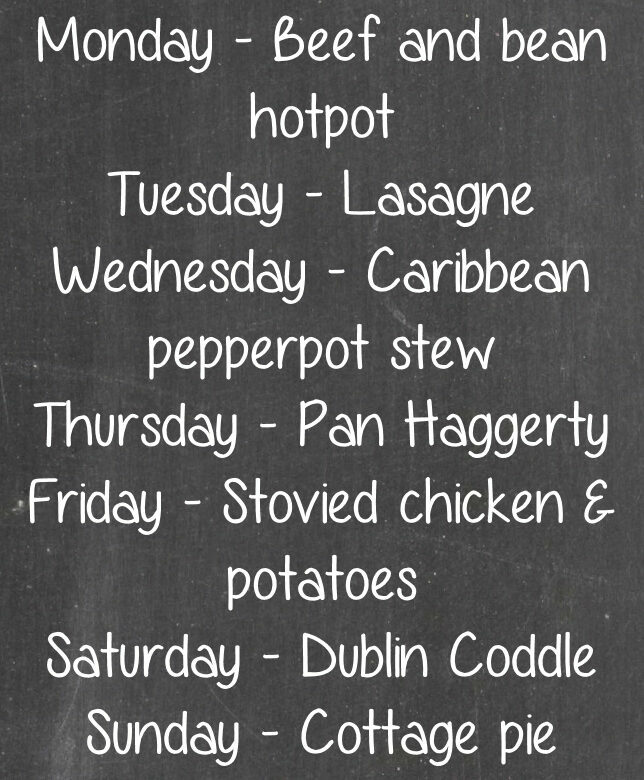 I'm intrigued about the Dublin Coddle.